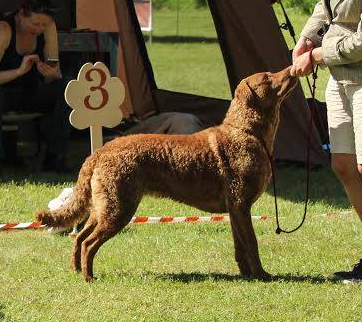 On September we again went to Latvia for Retrievers Specialty Show. Judge: František Korda (kennel z Vlčích luk, CZ). Arnac Bay Gull was working class: exc/1, cq, LV CAC (new LV CH), BOB! + BIS4 working dog, BIS-5. She was totally out of coat, so I still imagine how we got this result.